Tiny Houses Are A Weak Idea · Cavebear! There is no doubt that many of our communities need safe, clean, accessible, and inexpensive housing. This note does not dispute that need. Rather, this article, questions whether “Tiny Houses” are among the better answer or whether there are better approaches. Many communities are under pressure by advocates for increased housing for the homeless to consider adopting policies that encourage tiny homes. The argument made here is such policies may be a weak answer to the need to provide housing for the homeless. Let me begin my describing what I perceive as the kind of thing that most people imagine when they use the phrase “tiny house”. The first thing is that the typical tiny house resembles a small house trailer. It is up on wheels; it is intended to be hauled from place to place behind an automobile or pickup truck. 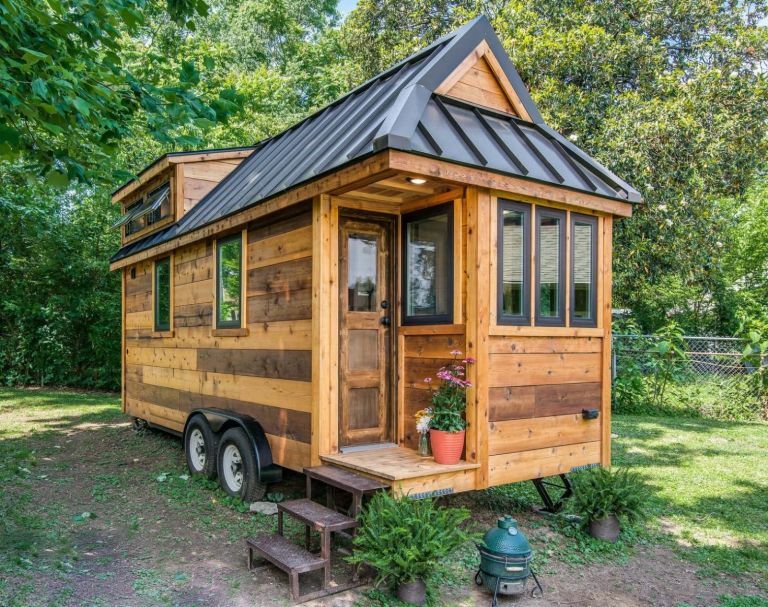 As such this “tiny house” carries a lot of non-house baggage: It has to be equipped with highway-safe things such as brake and tail lights, brakes, tires, and at least a minimal system of suspension springs and dampers. And it must have the structural integrity to withstand highway transport. And they also tend to have some sort of towing bar poking out from one end. The second thing is that many tiny houses have unusual space footprints. This isn’t so much the horizontal footprint - that tends to mimic that of a small trailer (with the tow bar projecting out one end). Rather it is the elevation - the vertical dimension - that is unusual. Some tiny houses have gables and chimneys as if they were miniature Victorian era farmhouses. Many have bay or oriel windows that project out from the sides. There are often small porches and stoops. Doors are located wherever convenient. And utility hookups - electrical, water, sewage - are placed as construction convenience dictates. Tiny houses are often constructed outside the constraints of building codes that are intended to protect the health and safety of the occupants. What these characteristics mean is that groupings of tiny houses will resemble trailer parks. This is not to disparage trailer parks or the people who live in them. Rather it is to indicate that a lot of space will be given over to things that have little to do with housing the homeless: roadways, access, utility hookups, and those towing bars. There will often be considerable space dedicated (or wasted) for automobile parking. In addition it means that the neighborhood created will be horizontal - space above will be air. And as a result of the weak influence of building codes, a community housing area created out of a collection of tiny houses is likely to have more health and safety issues concerning electrical wiring, plumbing, steps and handrails. It may also have fewer accommodations for those with physical disabilities. We have learned from the post WW-II era of suburban sprawl that quality of life and sense of community is often diluted. Suburban sprawl is wasteful of land, transportation resources, and expensive utility infrastructures. Tiny-houses qua mobile homes are suburban sprawl but with built-in impermanence. Over the last decades visionary urban architects have envisioned cities that have not sold their souls to automobiles. And over the last few years young people have begun to rediscover the benefits of living in urban spaces in which automobiles are optional. Tiny-houses qua mobile homes are premised on highways and roads, they run contrary to evolving notions of how we can live together. There was another innovation that came from the post WW-II era. It is an innovation that is generally considered ugly and quite the opposite of the creativity found in many tiny houses - shipping containers. But ugly as they are, shipping containers revolutionized the world. 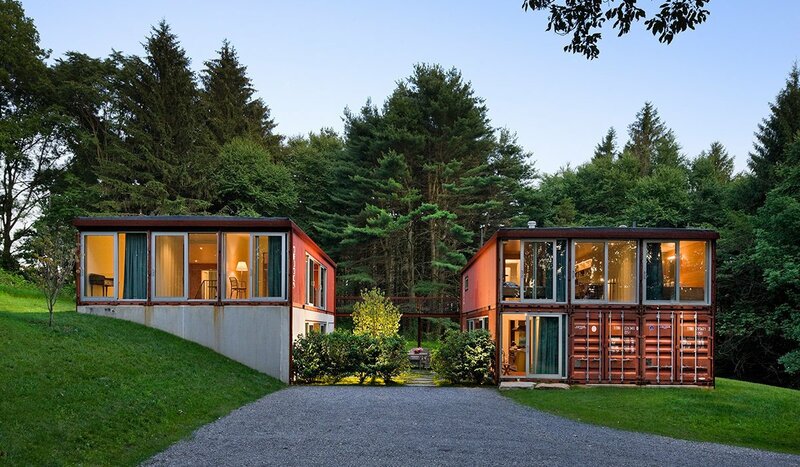 So, how what do these containers have to do with tiny houses? First and clearly we must reject the notion that containers are houses - that would almost be a return to “the projects” of the 1960’s. On the other hand there are elements that we can draw from container ideas to make tiny houses less inexpensive, easier to move, and less wasteful of land when being lived in. There are already plenty of people who use shipping containers as building blocks. The containers are ubiquitous and often relatively inexpensive. But they are optimized for the stresses and abuses of being stacked layer upon layer upon layer on ships that are crossing rough seas. Modification is needed to create human sized doors, windows, channels for plumbing and power, and spaces for insulation, heating, and cooling. Because of their container heritage, homes built using this approach could be stacked to better use often scarce land. A simple web search for “shipping container homes” images shows that container based small homes need not be ugly. These shipping-container based tiny homes would be far less expensive to build than those built on highway trailer frames. And with standardized attachments and locations for utility hookups, doors, and windows they could be made easy to install alone or in groups. 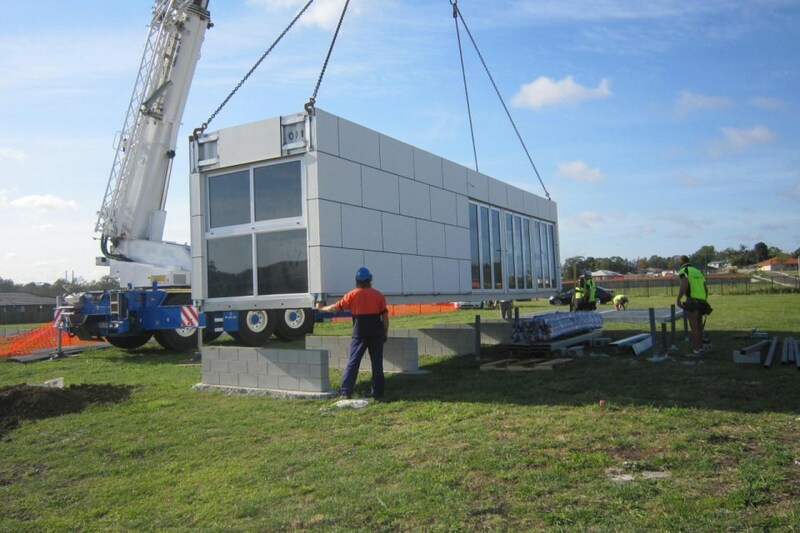 And because shipping container technology is already designed to be transported, rental companies could rent the trailer frames needed to move a container based home. And, similarly, hoisting equipment could be available on a rental basis. All-in-all, tiny houses build using shipping container technology would be less expensive both in the short and long term than trailer-based homes. The one downside is that a person in a container-based home would find it less convenient to suddenly pack-up and leave for new horizons. But our goal here is housing for the homeless in our communities. And given our limited social resources, we should strive to obtain the best value.